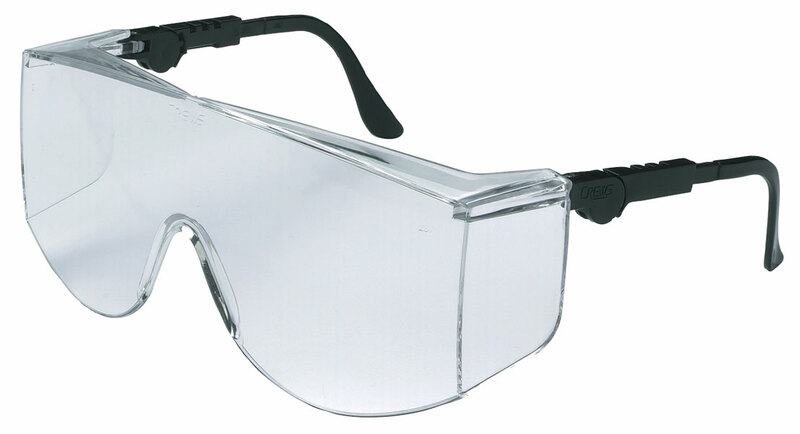 With the MCR Safety TC1 series you get low cost protection without giving up quality, safety, comfort or durability. It's the same quality you expect from MCR Safety, priced to fit even the tightest budget constraints. Made of strong, lightweight, scratch-resistant polycarbonate, the one piece wrap-around lens delivers a wide field of vision and lateral impact protection. The molded-in nose bridge comfortably fits a wide variety of faces. This XL version fits over most prescription glasses and features a 5 position ratcheting temple design.